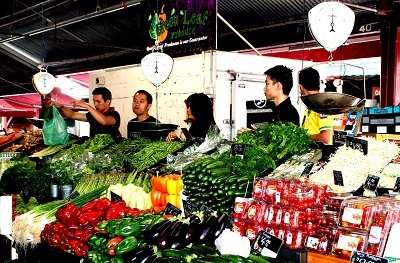 Melbourne's cost of living is second to the highest in Australia closely following Sydney. However, there are several options in the city for people who are running on a tight budget. Like the rest of Australia, Melbourne offers a quality of life that is seen as attractive to many expats. Ranked 33rd in Mercer’s Cost of Living Survey, Melbourne is rated highly when it comes to education, entertainment, healthcare and tourism as well as sports. The city’s economy is highly diverse, with strengths in finance, education, IT and research sectors. Expatriates who are planning to relocate to Melbourne will find an exceptional quality of life and excellent weather that is sure to satisfy them. Expatriates looking to purchase real estate in Melbourne will find plenty of options in the form of urban apartments, old-fashioned Victorian homes and residential houses in the suburbs. Those looking to live closer to the city and business district will find that the prices of condominiums and apartments tend to be more expensive. The prices of property vary depending on the location, so expats are advised to shop around and compare prices in different areas to see what they can afford. When buying real estate, houses and apartments in Melbourne are often brought with the help of an agent, so expats are advised to seek out real estate agent services when buying property. However, it is possible to buy property directly from homeowners as well. When finding property for sale to purchase or rent, expats may be asked by real estate agents to provide proof of identification and a key deposit. Additionally, expats who wish to buy a house or apartment will have to pay taxes to the government which amounts to 10% of the property value. Whether expatriates are looking for an apartment, condominium or house in the suburbs to move into, there are various forms of housing options that expatriates in Melbourne can choose from when it comes to looking for a place to rent out. To obtain approval to rent out a property in Melbourne, it is necessary for expatriates to present some documents which include references from previous rentals, a bank statement, a valid passport or drivers licence and a cover letter containing the details of your current income and status. Rent is usually paid at the end of every month, and most leases in Melbourne tend to last for one year and necessitate a month’s rent as deposit. It is likely that an expat’s biggest expense while living in Melbourne will be the cost of rent as the accommodation does not come cheap, with rent for a furnished two-bedroom house costing as much as 1,200 Australian dollars. To make living in Melbourne more affordable, it is advisable that expats consider sharing a flat with a roommate to lessen the cost of rent. Expats living in Melbourne have a wide range of gas, electricity and water providers to choose from when it comes to obtaining utilities. Some utility companies also offer additional services such as telephone and internet lines as well. Expats need to be aware that utility bills for electricity, water and other services are considered to be the responsibility of the tenant and not the landlord. Since Melbourne is prone to harsh heat waves and chilly winters, expats will need to prepare themselves for the possibility of receiving high electricity bills for running the air-conditioner during the warm summer months and the costs that come with using the heater during winter. On average, households in Melbourne tend to spend 1800 Australian Dollars on gas and electricity bills. Dining out in Melbourne can cost A$15.00 in an inexpensive restaurant and can cost up to A$80.00 or more in the middle of high range restaurant. One litre of water costs an average of A$2.53, and a litre of milk costs A$1.20 and a litre of Pepsi or Coke soda costs A$2.98. Imported beer costs A$5.03 per litre bottle, while a bottle of white wine costs A$15.00. One loaf of fresh white bread costs A$2.79 and a dozen eggs cost A$4.26. Expats will find getting around Melbourne easy to do, thanks to its wide public transportation network which is composed of trains, trams and buses. Those living near the city tend to forgo owning a car, as parking fees in Melbourne can be quite expensive, costing over 10 Australian Dollars a day. The public transport ticketing system in Melbourne for all trains, trams and buses are called Myki, which can be bought in 7-Eleven stores and at Myki machines located close to major train and tram stations. The most common form of transport in Melbourne is the tram, and Melbourne is known to have the world's largest tram network, which consists of 500 trams on 28 routes and 1,813 tram stops. Train and tram services in Melbourne run between the hours of 5 am until midnight from Monday to Thursday, with extended hours until 1 is on Friday and Saturday nights. Aside from the tram, Melbourne has over 300 bus routes which operate across the city. Bus services run from 6 am to 9 pm on Mondays to Fridays and from 8 am to 9 pm on Saturdays.